Just a something I wanna try. Trying out some of the trends for FW10: animal prints & greys! Anyways, I'll start answering the questions you guys asked in my give-away post and as for the the fashion challenges I shall start doing that soon as well. So keep a look out for that! I love your fashion chalenges! I get my fashion inspirations from everywhere! Magazines, the internet, on TV, people around me. Sometimes I would just stare off and a fashion outfit idea would flash in my head! Our first choice is to name our baby: Aidan Eli but 2 of our other friends who are also having boys are naming their baby Aidan too... so we are thinking of naming him Ashton Eli now. What are the current fashion trends? I am so out of the loop now. Hahaha. Kidding. I don't think I hate any. I love everything in fashion. The only thing I don't like for some reason is the cookie cutter fashionista thing. People have the tendency to look the same after awhile. You know like when the high waisted skirt became a trend/fashionable almost everyone began sporting it and thus it became so all over that just killed the trend for me. Ah, I believe I'm one of the oldest of you lot here. I'm now 29 turning 30 next year! Eeeeeep! Before I go let me share my new shoes!!! New addition to my lace-ups/oxfords collection! Aren't they so pretty? Charcoal grey, bone + a patent maroon pair. :D Wheeeeeee! Granted that I won't be able to wear them just yet. i love your new oxfords! cant wait to see u rock em! and i love the maxi dress + blazer combo babe! i love the hints of pink in that blazer!!! so fab and feminine!! :D and those new oxfords are to die for!!! you should do a post merely dedicated to them.. like.. your first pair, your most worn, most memorable, least and most fave!! aaaaaahh!!! :D great collection! Oooh! 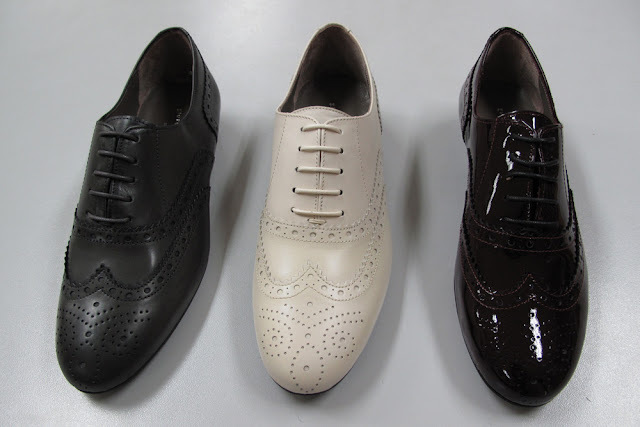 Love the new oxfords Lloyda! Where did you get them? ohhh i love your new shoes!!!! the blazer with the maxi dress. to reading your future posts. Nice oxfords! :D Where did you get them? 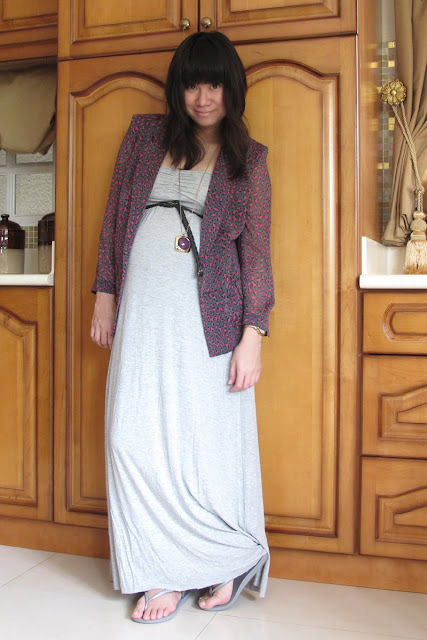 one of the best dressed pregnant bloggers out there!!!! Holy smokes those oxfords are all amazing!! !